This f-ckin’ mess. 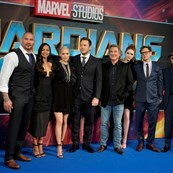 On July 20, the shocking news broke that James Gunn was fired by Disney, to be immediately removed from Guardians of the Galaxy Vol. 3, which he was writing/directing. It’s an exhausting story that involves the alt-right and America’s ongoing culture war—here’s a good rundown from our friends at Pajiba about the particulars, and here is why no, it’s not like Roseanne (but that surely weighed on Disney, lest they be seen as biased as they tiptoe their anti-trust nightmare Fox merger past a mercurial president currently disinclined to take notice. No way in hell Disney wants to attract his ire right now). We’ve talked before about the lack of consistency in the post-#MeToo era, and at this point we’re basically in punishment free-fall. The executive class SHOULD be the ones to step up and set some kind of standard operating procedure for what to do when someone is accused of improprieties, be they in the real world or social media. But the executive class is a little busy being accused left and right of improprieties themselves, so that is not going to happen. Short of them, maybe the agents could do it? Or the MPAA? The Academy? A high school drama teacher from Norfolk, Virginia? Just someone, ANYONE, please provide a little direction because things have gotten so silly a f-cking alt-right cyber mob just took down one of the most successful filmmakers of the last half-decade over bad tweets. No one knows what to do and so every decision is a panic response. So John Lasseter harasses women for DECADES and creates a work environment so hostile it is almost impossible for women to succeed (see also: Brenda Chapman), and when he is finally called on the carpet, what does he get? A soft-serve slap on the wrist, a golden parachute, and kind remembrances from the CEO. Oh, and also? There is apparently nothing in his exit deal to bar him from going to another studio or otherwise competing with Disney. He could very well be welcomed with money-laden open arms from a rival animation house on January 2, 2019 and go on like nothing happened at all. Accountability: It’s a pipe f-cking dream. There are other examples at Disney. 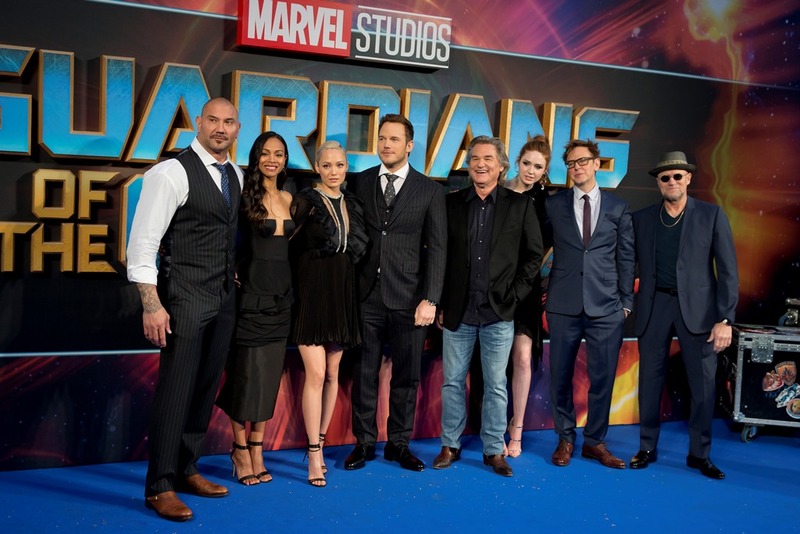 Post-Gunn, Bobcat Goldthwait pointed out his own history of dodgy humor and asked Disney to remove his voice from a theme park attraction, in the spirit of fairness, since they now give a sh-t about what their talent is saying on their off time. And, of course, there is the scarf-shaped elephant in the room: Johnny Depp. One year after Amber Heard accused Johnny Depp of domestic violence—and brought receipts—Disney released a new Pirates of the Caribbean movie. Currently, Depp is being sued for punching a dude on set, but Disney still has another Pirates in the works, and Depp’s face is all over the theme parks courtesy the Pirates ride. Are they going to remake the Jack Sparrow animatronics to look less like Depp? Will they sh-tcan the next Pirates movie? Will they take the high road as rival Warner Brothers keeps Depp on as a prominent figure in their Wizarding World cinematic universe? It’s unlikely Disney will rehire Gunn as the nature of his old tweets and their family-friendly reputation don’t mix which is pretty f-cking rich when the guy behind their beloved Pixar classics was groping his female staff for decades uninterrupted but whatever. This is not really about accountability. It’s about a complete lack of consistency in who is held accountable and how that accountability is applied. On the one hand, bad tweets get you summarily dismissed, on the other hand, feeling up your female employees gets you a graceful exit out the side door.